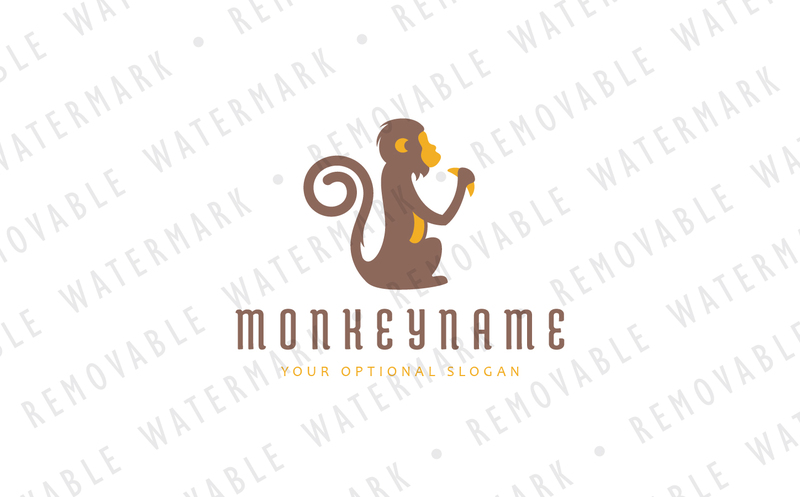 Logo template with idea of sitting monkey eating banana in its hand. Monkey symbolism is commonly associated with playfulness, energy, intelligence, luck, swiftness or dominion. Theme can be interesting for zoo gardens, veterinary clinics, restaurants, media, entertainment or game development companies, creative arts studios, consulting services and similar.